Bridal Hair Combs Sydney set - Wedding dresses - Hello Lovers Aust. The Sydney Hair Comb will delight with its simple, classic and beautiful style. The three horizontal rose and leaf design is a classic addition to your bridal hairstyle, adding a touch of metallic shine. 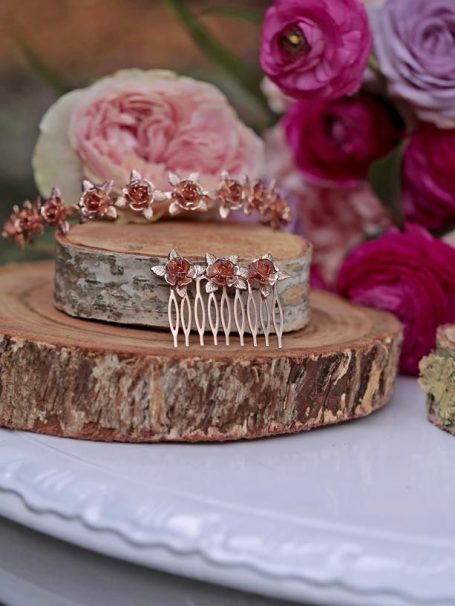 Sydney Bridal Hair Combs are petite pieces that shine brightly. 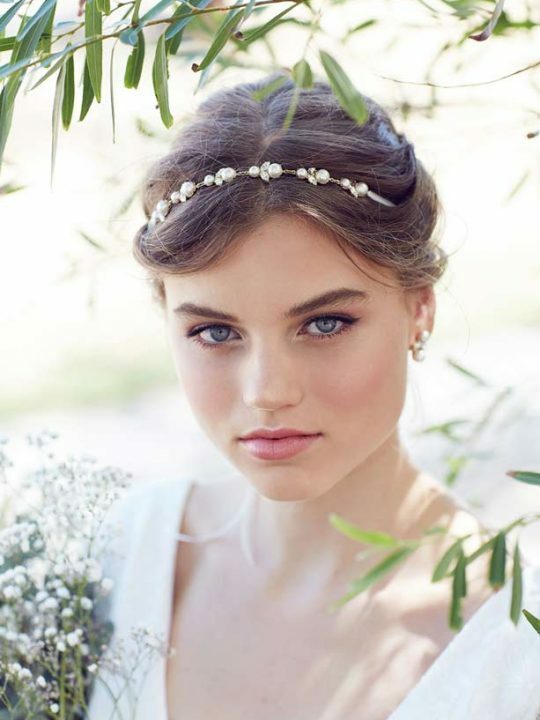 This hair comb is cute and flirty just like a bride should be. The signature rose and leaf design combines glamour with earthy chic to set you apart on your wedding day. For example, you could wear the comb with your veil or at the side of your head as a feature piece. Or tuck it neatly over a bun for a touch of metallic shine. Size: Flower feature 60mm across 20mm down, comb is 36mm and 50mm across. The Sydney Hair Comb will be packaged in our signature pink silk Hello Lovers box. 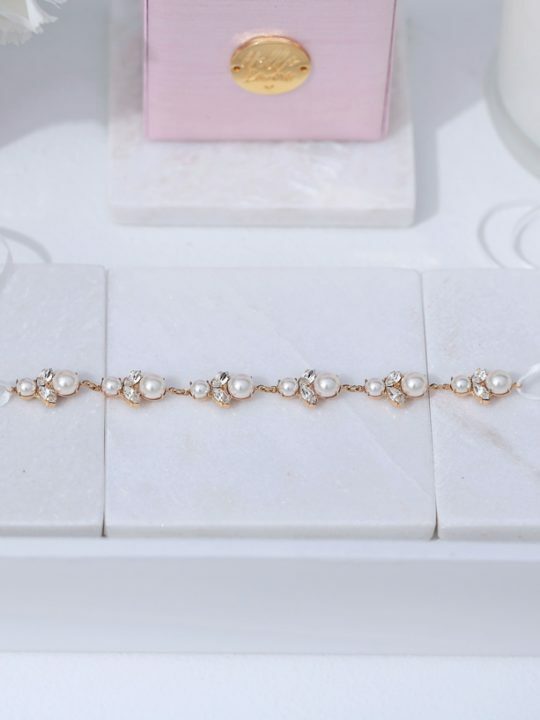 Consider matching this with the Sydney Wedding Ring or the Sydney Wedding Bracelet for an elegant bridal look. Hello Lovers are also Australian wedding dress designers. 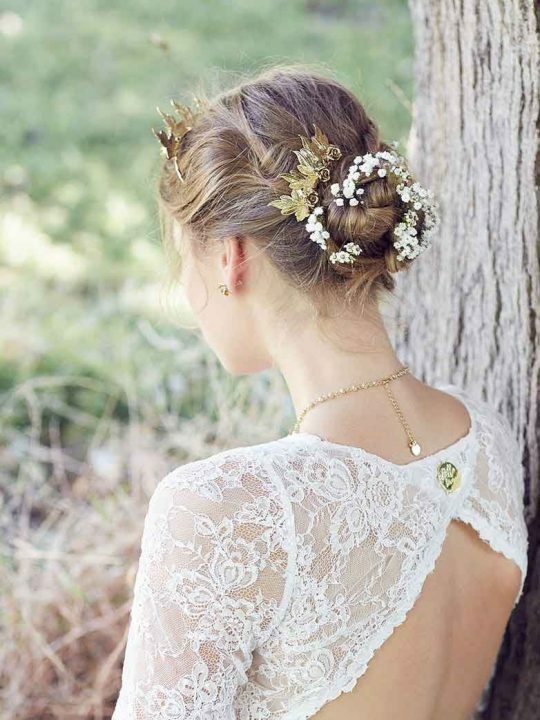 Featuring a superb range of lace wedding dresses in the vintage boho style.